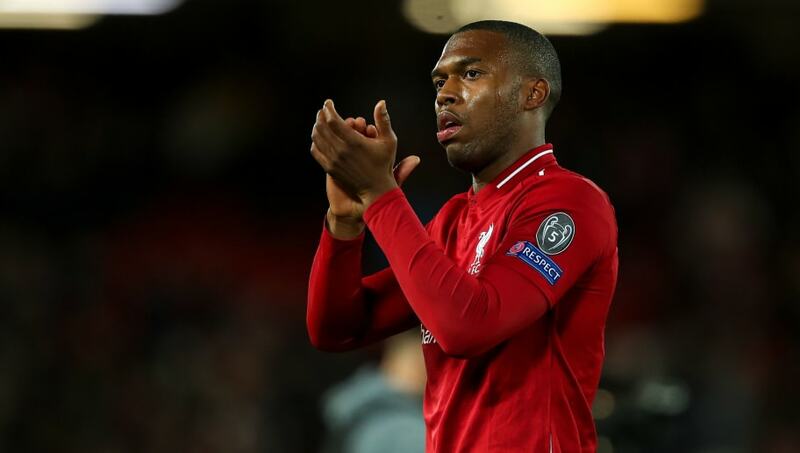 Liverpool striker Daniel Sturridge is reportedly on his way out of Anfield, as several MLS sides have registered their interest in the England international. The 29-year-old's contract with the Reds expires at the end of this season, meaning he is now eligible to talk to foreign clubs over a potential free transfer in the summer. ​The Sun report that sides from America are on 'red alert' over the possibility of Sturridge's departure, with New York City F.C. particularly keen. Domenec Torrent's side are on the lookout for a replacement for David Villa, who left the MLS to join Spanish teammate Andres Iniesta at Vissel Kobe in Japan. It is understood that the MLS side are among a number of teams who could afford a financial package that would suit Sturridge. The England international has fallen out of favour under ​Liverpool manager Jurgen Klopp, and has started just two ​Premier League games all season. The striker attracted interest from the lucrative Chinese Super League last year, but opted against a move and instead focused on getting his Merseyside career back on track. However, with Sturridge still behind in the pecking order, he has managed only 18 appearances this season, scoring four goals. The 29-year-old enjoyed a breakthrough in his first-team career with ​Manchester City, making his debut in February 2007 against Reading. Despite being voted the Citizens' Young Player of the Year in 2009, Sturridge left the Etihad Stadium to join rivals ​Chelsea on a free transfer and made 96 appearances for the Blues. The forward then made his move to Anfield in January 2013 for a reported £12m, but has seen his game-time restricted in recent seasons and is now being tipped for a move away.